When Fluffy the cat arrived at the animal clinic it didn’t look good. 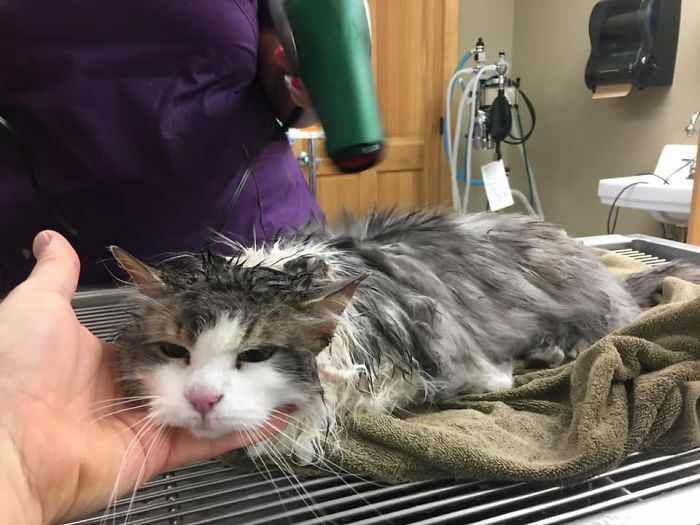 Found in a snow bank in Montana, Fluffy was unresponsive and had her fur matted with ice. The veterinarians, however, refused to give up on her. 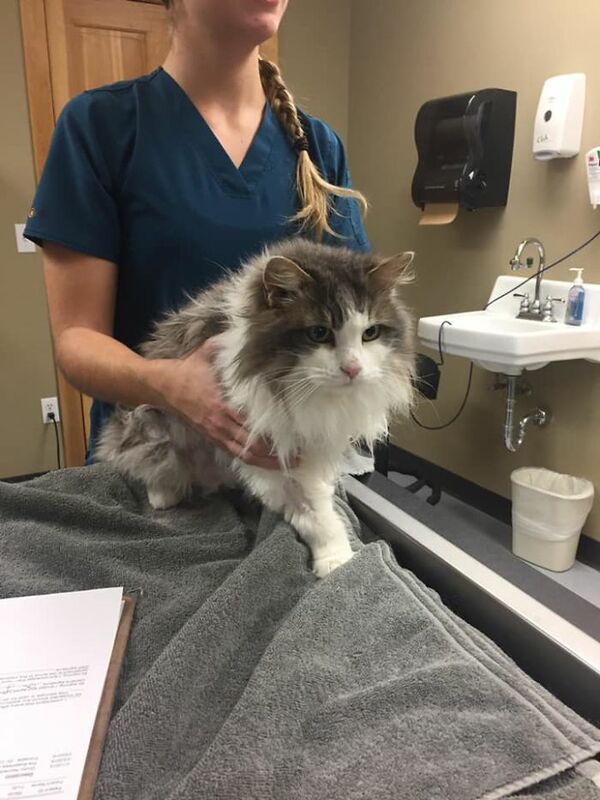 Dr. Jevon Clark, who works at the Animal Clinic of Kalispell, told ABC News that when measured Fluffy’s temperature at the clinic, it was so low, it didn’t even register on a thermometer with a bottom range of 90 degrees. According to Clark, cats’ normal body temperature is somewhere around 101 degrees. 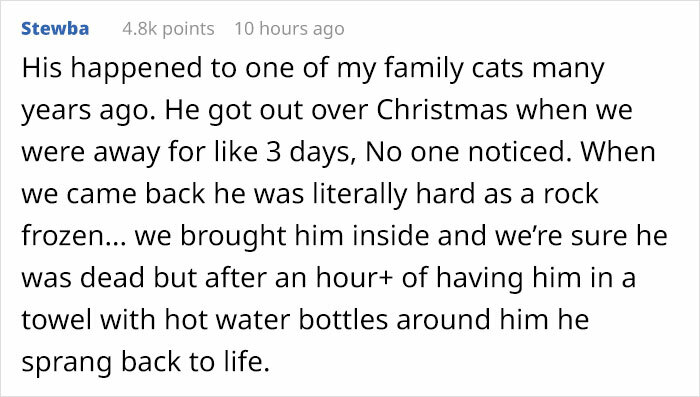 After two long hours of using warm water and blankets, Fluffy’s temperature was still too low, so they took her to the emergency room. There, after a few more hours, it finally began to rise. Eventually, the furball fully recovered. Now, Fluffy is back at home with her humans.